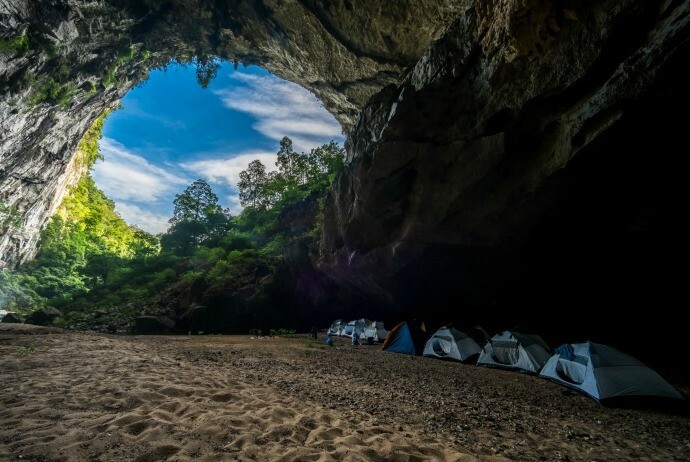 Unspoiled scenery, spectacular natural beauty, especially after the event of King Kong film crew filming up here – Quang Binh (Quảng Bình), Vietnam (Viet Nam) has been turned into the place that cannot be missed to those who love adventure travel. Apart from the famous Son Doong (Sơn Đoòng cave, these 9 following sites are not-to-be-missed places when visiting Quang Binh. 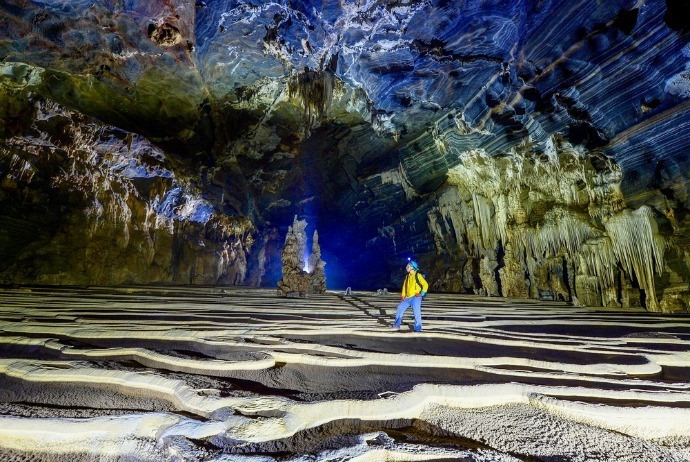 Visiting Phong Nha – Ke Bang (Phong Nha – Kẻ Bàng) National Park, you will be overwhelmed by the majestic beauty of En Cave, which was named as the 3rd largest cave in the world. More remarkably, exploring En Cave just takes from you 2 days 1 night, which is very suitable for those enthusiasts of exploring but not having enough time. 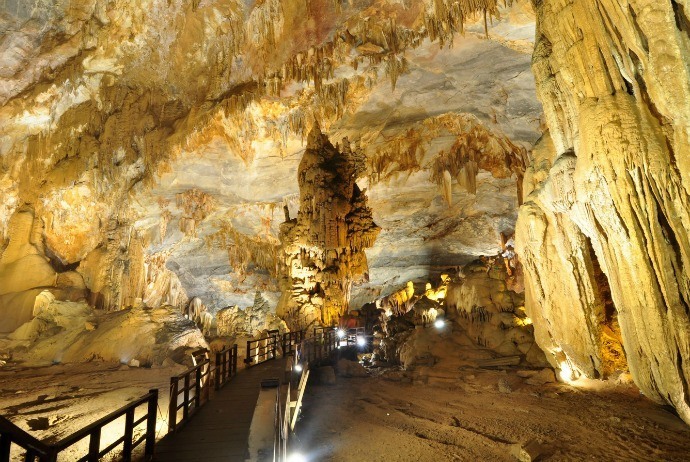 En Cave has a total length of 1.645 meters across the mountain and covers 3 cave doors, located in the southeast and northwest of the flow stream of Rao Thuong (Rào Thương). En Cave was rated by the National Geographic Magazine (USA) rated as one of the spectacular caves in the world. The special feature of this cave is its separate ecosystem and climate, plus with the primeval forest and a beautiful river, creating unique experiences for tourists. 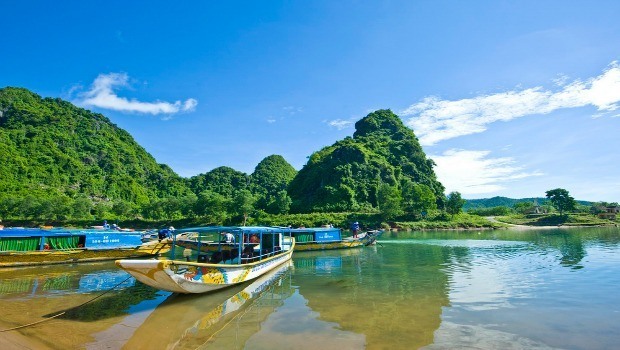 Coming to Bo Trach (Bố Trạch) District, Quang Binh (Quảng Bình) province, apart from the scenic Phong Nha – Ke Bang landscape, Da Nhay (Đá Nhảy) beach is also an attractive destination with pristine beach and a population of stones and strange-shaped caves. Following the Highway 1A from Dong Hoi (Đồng Hới) city north backward about 25km, Da Nhay beach is a complex of mountains adjacent to the beach, at the foot of Ly Hoa pass. Despite just being far from the noisy traffic a few steps, Da Nhay (Đá Nhảy) beach still remains completely its original beauty, from the water color to abrasive rocks. Due to the gentle blend between majestic beauty of rocks and the charms of immense sea, this place creates a lasting impressing in the travelers. Nuoc Mooc stream is located on 20 Quyet Thang (Quyết Thắng) road, belonging to the west branch of Ho Chi Minh (Hồ Chí Minh) trail, about 10km to the northwest from Phong Nha tourism center. Following the winding road with the green color of mountains and forest, tourists will see the steam lying between the valleys of towering limestone mountains, stretching along the Chay (Chày) River for about 3km. The center of the stream is about 350 meters in width. This place is the convergence of different colors of nature with rivers, lakes, streams, and waterfalls. 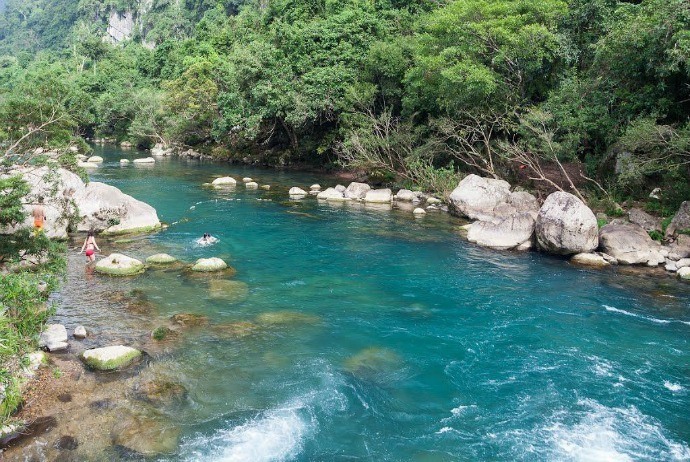 About 70km away from Dong Hoi (Đổng Hới) City, Chay River is known as a heaven with fresh air, spectacular nature, making everyone who used to visit here all enjoys. Coming here, adventure enthusiasts could jump down from the zip line (a form of swinging) to drop into the cool waters, or participate in water games or go kayaking to admire the scenic vistas. Boating along Chay River for 5 km or so, you will reach Toi (Tối) Cave. The stalactites hanging up the side of the cave create impressive scenery. Due to being located right adjacent Chay River, having high humidity, the stalactites in the cave are covered with a large amount of moss, creating a subtle green. Entering the cave, the darkness covers all corners, making movements inside the cave more interesting. 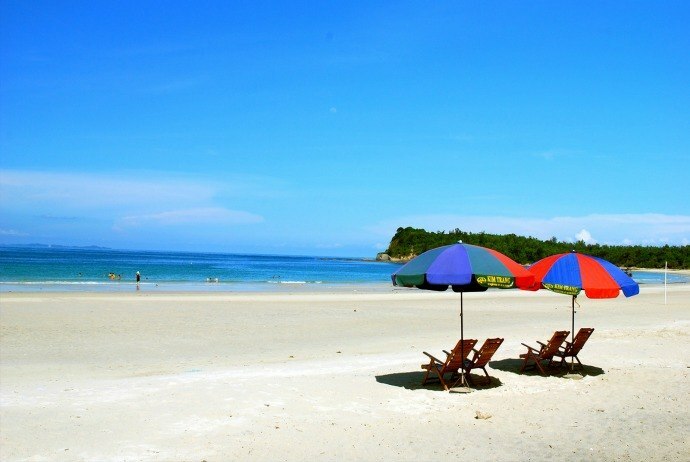 About 2km to the northeast from Dong Hoi (Đồng Hới) city center, Nhat Le beach is beautiful like a picture with airy natural landscape, vast white sand and blue sea. After immersing yourself into the clear blue water, playing with the waves, tourists could enjoy local seafood which is famous for both the quality with its own flavor. 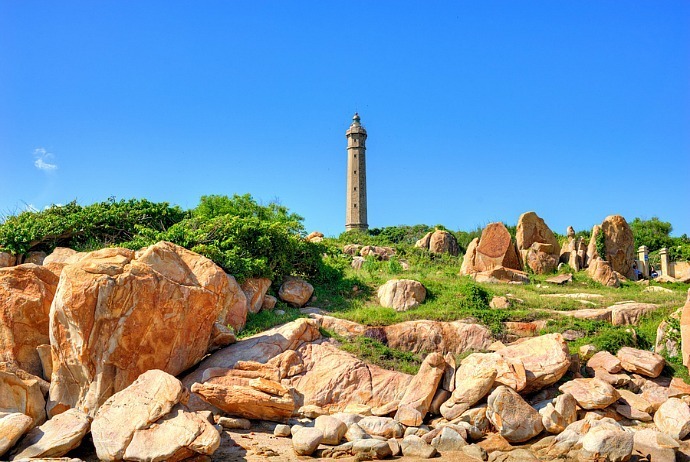 Located in the eastern area of Dong Hoi (Đồng Hới) city, Quang Binh (Quảng Bình) province, Bao Ninh (Bảo Ninh) peninsula is connected with the city by Nhat Le bridge, adjacent to the poetic Nhat Le beach. From Nhat Le Bridge, go straight to Truong Phap road for about 8km, you will reach Quang Phu commune. 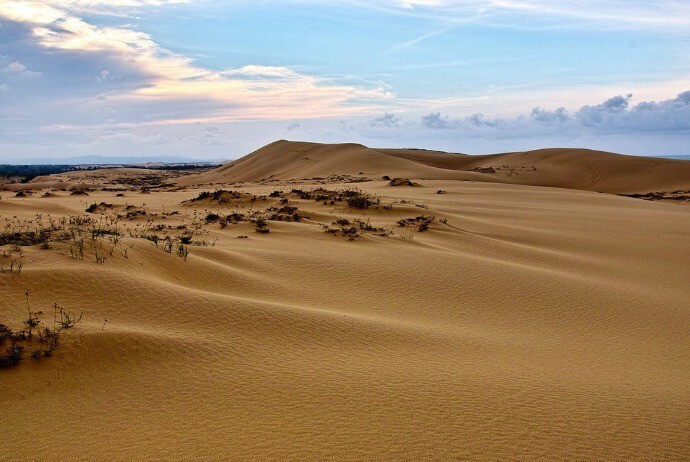 Opposite to the Sao Bien ecotourism is Quang Phu dunes, this place welcomes tourists to visit and have fun. You could rent a skateboard and comfortably playing on the vast white sand dunes. Particularly, when visiting here, you should prepare sunglasses, long sleeves in order to avoid sandy wind. Belonged to the limestone area of Ke Bang (Kẻ Bàng), Son Trach (Sơn Trạch) commune, Bo Trach (Bố Trạch) district, Quang Binh (Quảng Bình) province, about 50km to the northwest from Dong Hoi city, Phong Nha cave is considered as “Thien Nam De Nhat Dong” (Thiên Nam Đệ Nhất Động( of Vietnam, covered by tropical forests. 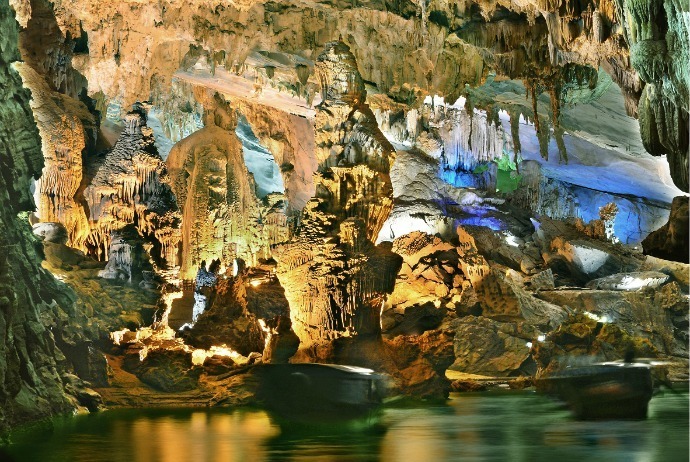 Dubbed as “underground palace”, Thien Duong Cave is one of the most magnificent and magical wonders of the world. The cave nestles deep in the World Natural Heritage – the National Park Phong Nha – Ke Bang, dating back from 350 to 400 million years ago. Located about 100km away far from Phong Nha cave, Tien Cave belongs to the complex of En Cave, in Tu Lan (Tú Làn) commune, Tan Hoa (Tân Hoá) district. In fact, locals just discovered this cave a few years ago, but it has just been widely known in 2015. 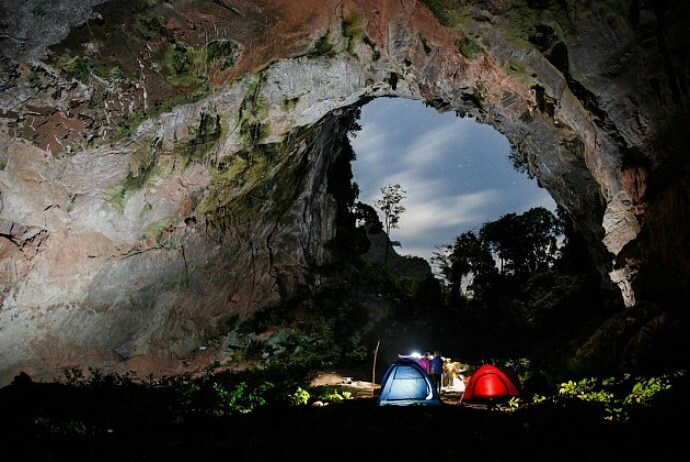 Tien Cave is the destination for those people who start their conquering tour in Quang Binh. The cave is located between large mountains and dense trees, so before coming to the entrance of the cave, you will have to pass through the jungle, streams and go trekking. The great thing about Tien Cave is that you could contemplate spectacular stalactite columns in the cave entrance, without having to go deep inside.